"Are you trying to import multiple Outlook PST files into Office 365 online account using manual approach like Network Upload, but getting failure? Let us compare between Office 365 PST migration solution and Network upload and find out which one is better for Outlook to Office 365 migration." Nowadays, Office 365 comes under a superior email communication platform for delivering advanced services. One of the amazing features of O365 is Outlook 365 or OWA. 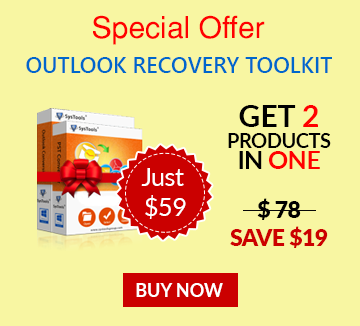 It is an online version of Outlook desktop program and can be accessible from anywhere in the presence of internet connection. That is why many mid or large-sized organization switching from desktop based Outlook to Office 365 online. However, old Outlook emails will be required in O365 account. For this, users need to import Outlook PST files into Office 365 online. This can be better understood by a real-life situation. Whenever an organization requires to import multiple PST files into Office 365 account, the first method comes into mind is Network Upload approach. However, lots of consequences attached to this workaround. Let us consider the above scenario where the company needs to import a large number of Outlook PST file in O365 OWA. And, Using Network Upload method takes lots of company hours consumed to import a small amount of data. In recent research, it is found that organizations do not want to spend such huge hours on the same process. To overcome the limitation of Network Upload, a dynamic tool was developed named as Office 365 Import PST Software. Its major function is to import multiple Outlook PST file into Office 365 online account in minimum time span without much technical ability. Moreover, it is capable to migrate complete emails, contacts, calendars data in Office 365 webmail. Furthermore, software is available for a wide range of Windows Operating system. Now, the question comes in user mind what is special in this software that cannot be found in manual method. So, the answer to this question is described below. Why Choose Office 365 Import Tool Over Network Upload Method? In the following section, readers will understand the important features of Office 365 PST migration tool that are not available in Network Upload method. And how much they important to import multiple PST files into Office 365 online Outlook. Network Upload method requires good technical knowledge about the procedure. Also, lots of permission is necessary to be granted by admin before using the method. In case, when the admin left over any single permission, the process cannot be started. On the other hand, Office 365 Import PST tool needs Impersonation permission and the migrate Outlook PST to Office 365 procedure will start. In manual Network Upload method, you need to follow a long-sequence of steps that seriously mind scratching. However, the automated O365 PST import software requires only a few clicks and the entire process takes place automatically without any error and interruption. Manual procedure takes several hours to import each terabyte of PST data in Azure storage. Afterward, this data move to Office 365 mailbox from Azure storage at a speed of 24 GB/day. In case, if there will be a loss of internet connection during migration, user needs to start the method again from starting point. On the other hand, Office 365 PST migration tool directly imports .pst in Office 365 webmail mailbox in the minimum amount of time. In case of loss of internet connectivity, user can easily Pause the ongoing process and resume it again from the point where it was stopped. Network Upload method cannot maintain 300 or above nested folders hierarchy during Outlook to Office 365 migration. However, O365 Import software ensures to maintain the complete folder hierarchy of .pst mailbox folders after importing into Office 365 mailbox. In a situation when PST file contains a data item larger than 150 MB, then it will be eliminated in Network upload method. Also, this method is only available in the United States, UK, India, Australia, East Asia, Canada, Brazil, Republic of Korea, Europe, and Southeast Asia. On the other hand, Office 365 PST migration tool available worldwide. With the help of Office 365 PST Import tool, one can remove Deleted and Sent Items folder while migrating PST files into Office 365 OWA. 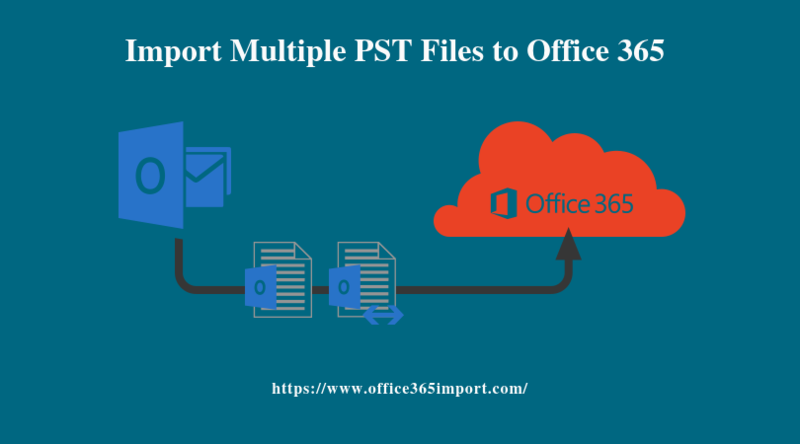 Considering the organizations’ query how to import multiple PST files into Office 365 online, we explained an automated Office 365 Import PST solution. It is a reliable and result-oriented solution. Moreover, it provides various features that help a lot while migrating PST files into Office 365 OWA account.